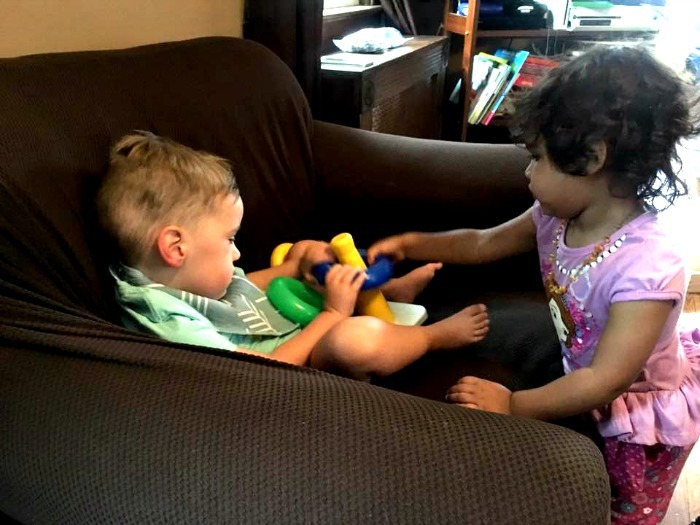 It’s Easy to Love Until It’s No Longer An Option is a post dedicated to learning about National Rare Disease Day, Mytotublar Myopathy, and how to be a best friend. Trigger Warning: Family Loss. Miscarriage. Child Loss. I’ve sat down to write this post a hundred times. I’ve shut my computer hundred times. The right words never seemed to be there. I’m still not sure they are now. But, I’m going to try. Almost six years ago, my world suddenly changed. I found out I was pregnant. I was newly out of a job, lived in a state with no family, and I hadn’t made a single friend yet despite living here in Jersey for almost two years. Through a series of events throughout my pregnancy, I met the sweetest person. Almost instantly, we clicked. Her son would be 3 months older than my girl. We had playdates, we attempted co-ops together, we laughed, we gossiped, we became the bestest of friends. It was something I yearned for both since moving to Jersey and now as a new mom. And she filled so much of my heart. Friendships are about how you act during the tough times. Over the next 5 years, I would learn that in order to be the bestest of friends, sometimes, life isn’t fair. And sometimes is disproportionately fair for one of you than the other. My best friend would go through some of the most difficult times during these next few years. She has one of the closest families I’ve ever seen, so to see her loose her nana and father-in-law hurt me so much. But I learned how to be a better friend through her losses. I learned to listen. I learned to share. I learned how much meals can help heal and bring people together. More excruciating than those losses though would be the two miscarriages she would go on to have. I hated the world for seeing my friend ripped apart. Each time more traumatizing than the last. Each time her light dimmed a bit. But I learned how to be a better friend through her losses. I learned to help more. I learned small notes and messages mean more than anything. I learned that a simple gestures like dropping off their favorite coffee or candy bar could completely make someone’s day. But then, she was pregnant again. Within weeks, we both found out we were expecting again. This time, our babies would be even closer in age. This time we fully enjoyed pregnancy together. 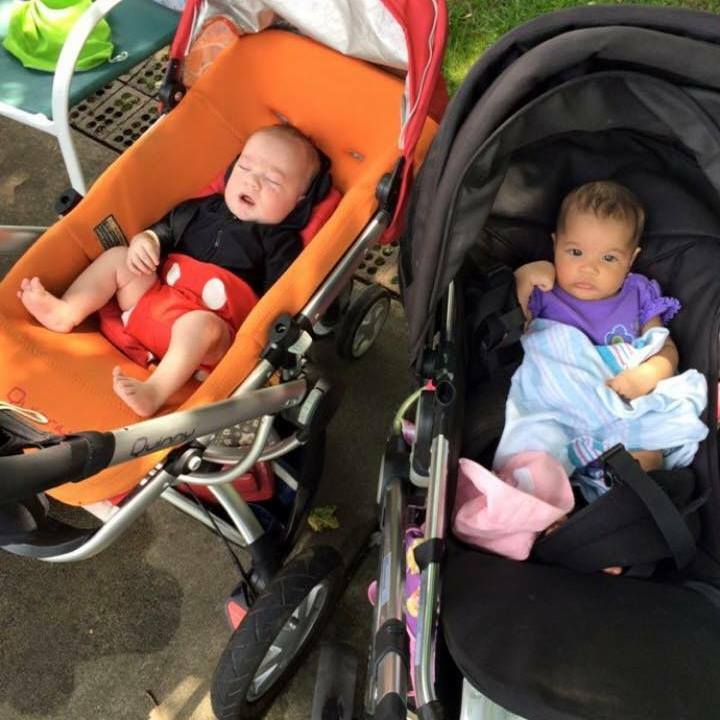 They wound up born 23 days apart. We were so excited for everything that we were going to get to do. But once again life wasn’t fair. 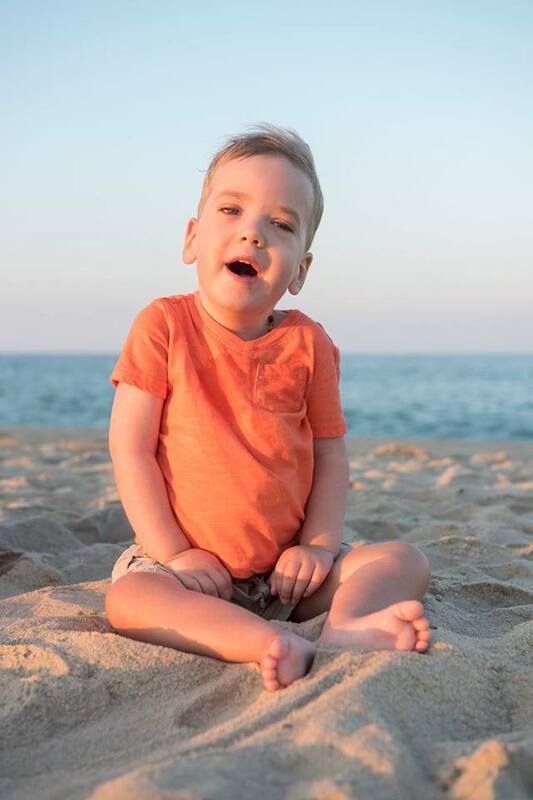 My friend’s sweet baby, Beau, was born with a rare genetic condition called myotubular myopathy (MTM). This condition affects 1 in 50,000 male children born every year. It would be weeks before a diagnosis was given. So much time in the NICU. And over the next year, there would be many hospital visits, doctors appointments, therapies, and more. I struggled this time with how to be a friend. I had a newborn baby. And, I was floundering myself and all I wanted to do was help my best friend. I didn’t understand why life wasn’t fair. Why was my baby perfectly fine and my friend was struggling to come to terms with what all this meant. How did their life change after this? What would this mean for the rest of their lives? But then I met Beau. I instantly fell in love. He was the sweetest baby. I never knew why my friend was dealt so much, but after meeting Beau I knew it was because he had so much to teach us. This sweet child filled our hearts and our minds with big life lessons. He taught us about unconditional love. He taught us about fighting down barriers and never giving up. We learned how to keep going from him. We learned that life is never fair, but you never stop working to be your best self. It was easy to love him until it was no longer an option. One of the most difficult pieces of myotubular myopathy is that children born with this condition are given a 2 year life expectancy. This was probably one of the most difficult pieces of information we learned. How does one process this? What do you do when you are told you may only have your child for 730 days? Six months went by and Beau was thriving. One year went by and Beau was thriving. The two year mark approached and Beau was doing things that other MTM children could only imagine. He stunned his therapists and doctors. He was breaking all barriers. Beau was easy to love, but after complications related to MTM one morning, he suddenly and unexpectedly passed away. Everyone’s life who knew Beau suddenly came to a screeching halt. This was the most unfair blow life could have ever dealt. Beau was 27 months. Best Friendships are about how you act during the REALLY tough times. I can literally say my heart broke. No one can prepare you for this moment. There are no friendship manuals that can prepare you for a phone call like that one. There is frankly nothing you can do or say that can even remotely make this better. Nothing you can buy can heal a heartache that comes from child loss. But there is something I’ve learned over the last six months and that is that you never leave your friend to feel alone. Many people are going to leave their side. These friends are going to continue moving on with their life. They aren’t going to be able to handle the stress of someone who appears to always be down. They people will stop checking, stop asking, stop helping. Best friendships are the ones who push through and are still there months later. What I’ve learned from my friend experiencing child loss is that the single greatest thing you can do is never stop speaking about their child. Tell everyone. Post about them. Bring up their name and memories you have. Never let your friend think their precious child will be forgotten. Beau’s nickname was Woody because in therapy when he was done trying he would limp down like Woody does when Andy is coming. 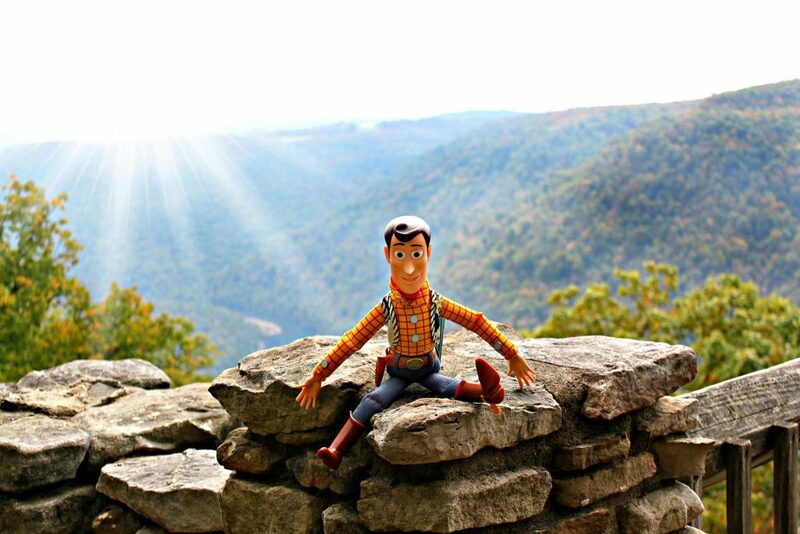 We now take Woody will us on all our vacations. We tell people about Beau through Woody and through Woody, Beau gets to explore the world that he was never afforded the opportunity to do. I will still never understand why my friend has had to endure so much. I will never understand why my sweet friend didn’t get longer. But what I do know is that my life is better because I had a chance to meet a sweet little boy with MTM. My life is better because I had 27 months with Beau.